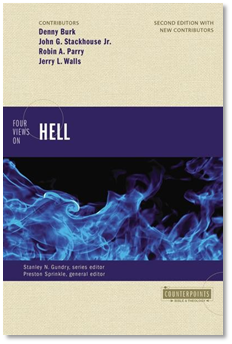 The topic of the Spring 2007 issue of the Criswell Theological Review is “War and Peace.” Stanley Hauerwas makes a poignant contribution to the journal with his “Sacrificing the Sacrifices of War.” His main point is that the biggest sacrifice of war does not consist in the lives that are lost, but in the loss of our unwillingness to kill (p. 80). One of the main tragedies of war according to Hauerwas, is the fact that war takes otherwise ordinary citizens and turns them into killers. To support this point, Hauerwas narrates the stories of several soldiers who have been emotionally traumatized by the killing they did during war. Many of them feel so guilty about the killing that they did, they never fully re-assimilate into society but live lonely, guilty lives. The sacrifice of these citizens’ “unwillingness to kill” harms not only the veteran, but also the society that normalizes their killing by awarding them medals and honors. Hauerwas concludes that Christians should have no part in wars (p. 94). I do not agree with Hauerwas’ central thesis, nor with his essentially pacifist conclusion. But I do think it is helpful to read some of the soldiers’ stories of their participation in war. Everyone, whether pacifist or just war proponent, should take to heart the ugliness of war, why we hate it so much, and why it should always be the last resort. Stanley Hauerwas, “Sacrificing the Sacrifices of War” Criswell Theological Review N.S. 4 (2007): 77-95. Would you say Iraq or Afganistan were truly our last resort? Every time I’ve seen you mention pacifism, it always comes through like you don’t really respect that position. At which point, I have to ask, what do you think of the peace churches (Mennonite, Quaker, Amish, etc)? As for Iraq and Afghanistan, I think even Gandhi would have gone into Afghanistan after 9/11. However, if “our last option” was war in Iraq, then it is obvious that our leaders were too dumb to come up with ANY other options. I guess it depends on what you mean by “respect that position.” If you define “respect” as “believe it to be true” or “is a credible interpretation of the total biblical teaching on war,” then I don’t respect it because I don’t believe it to be true or to be a faithful interpretation of the total biblical teaching concerning war. On the other hand, if you are asking me if I can respect pacifists, that’s another question altogether. I’m perfectly willing to say that some Christians are pacifists and that they are brothers/sisters in Christ. But saying that I love my pacifist brothers and sisters in Christ is a far cry from saying that I respect pacifism. I don’t. If you need analogue, here’s one. I love and respect my paedobaptist brothers and sisters in Christ, but I do not love or respect paedobaptism. Thanks for your honesty Denny. In the name of dialog and wishing to better understand your position and those like it, could you tell me what leads you to those beliefs? I’m not interested in a debate. Do you believe we as Christians, in our individual lives and as the church, are to turn the other cheek, and go the extra mile etc… and to not repay evil with evil? And if so then how would you make the jump that it is not ok to kill people in that regard but then it becomes ok to kill people as part of a military of an earthly kingdom? That has always confused me and I was wondering if you could shed some light on that for me. I guess I also find it hard to see the just war position when Jesus told his disciples (and thus the early church) not to get caught up in Jerusalem’s coming war, even though Jerusalem would have been the considered the just side and the victim in that war. Either way maybe you can help me understand your views better. I hold to a fairly traditional reading of Romans 13, that God has assigned human governments the power of the “sword” in order to punish evil-doers. As you know, the just war position (especially as Augustine articulated it) grows out of the implications of this reading of Romans 13. Also, I believe that Jesus’ commands concerning “turning the other cheek” prohibit taking personal vengeance for a wrong suffered. So I think Paul is in continuity with Jesus when he says, “Never pay back evil for evil to anyone… Never take your own revenge, beloved, but leave room for the wrath of God, for it is written, ‘Vengeance is Mine, I will repay,’ says the Lord” (Romans 12:17-19). The Christian does not have to take revenge on his enemies because he can trust God to do it for him. God’s vengeance won’t be perfectly executed upon evil-doers until the last judgment. But on this side of the judgment, God delegates authority to the state to punish evil-doers. And that is precisely what Romans 13 is all about. Christians don’t take their own revenge (Rom 12:18), they trust God to mete out proper punishments in due time (Rom 12:19), and they understand that God punishes evil doers in part through the instrument of human government (Romans 13:1ff). Just War theory operates on the premise that God has indeed delegated this duty to human governments. If you don’t accept this premise of the government’s God-given duty to wield the “sword” for good, then of course you won’t be compelled by arguments that say governments should wield the “sword” for good in war. I accept (in broad outline) the Augustinian/Just War interpretation of Romans 13 and how that correlates with Jesus’ commands not to take personal vengeance. Remember this. The man whom Jesus proclaimed to have the greatest faith in all Israel was a Roman soldier (Matthew 8:10). If Jesus advocated absolute pacifism, how could he make such a pronouncement about this sword-wielding agent of Imperial Rome? Quick question Denny before I sit down and ask more questions. Since you brought up Augustine, do you know if there was a general view in the early church (pre-Augustine) concerning Christians and military or war? I don’t know myself, I’m just wondering if you’ve looked into it. I’d be interested to see how the early church interpreted Jesus and Pauls words. Thanks for your lengthy response. I guess from reading your comments I could see from your interpretation of Romans 13 how one could see the government as having the duty to punish “evil doers” in it’s state. That’s one thing, to believe that a government has the duty to maintain order in it’s society, but quite another to see Romans 13 blessings wars (especially when you consider what the majority of wars were being fought over in the ancient world) as well as blessing Christians taking part in those wars by serving in the military. What happens when 2 believers are on the opposite sides of a war. All of the sudden they are killing a fellow brother (or sister) in the name of their government. There just seems something deeply wrong about that. As regard the Roman Centurion I guess if you see the Centurion as becoming a disciple of Jesus you might see it as Jesus blessings Christians being in the military. But I don’t see anywhere in that verse that leads me to think that the Centurion was deciding to become a disciple of Jesus (especially since Gentiles hadn’t become part of the kingdom yet or else there wouldn’t have been all that fuss about it later on) and I see even less that would lead me to think that Jesus was condoning his profession. I just see Jesus making a comment on someone’s extraordinary faith, and the irony that it wasn’t someone who was part of Israel. What is it that you read in that story that leads you to believe Jesus is blessings his profession or that the Centurion is becoming a disciple (much less abandoning Paganism)? Thanks for your thoughts Denny. Hope you don’t mind me jumping in here. To do justice to Romans 13, you have to acknowledge the number of qualifications. Notice vs. 3, “For rulers are not a terror to good conduct, but to bad.” Really? Not all the time. In fact, one was recently hanged that probably wouldn’t fit this description. Vs. 4, “for [the ruler] is God’s servant for your good.” Not so always. I’m thinking there are a host of rulers who are not justly looking out for the good of Christians. So it seems to me that you have to qualify Romans 13, for it seems to be a stretch to think that Paul was talking about any and all governing nations. Secondly, even if God establishes nations to execute his wrath (which I believe), that doesn’t mean their execution of it is in accordance to the excellent way of Christ, which followers of Jesus are called to live. Military advancement and killing is hardly the Kingdom Way that God calls for from his people. I can’t help but think of Habakkuk. Here we have a situation where God was using a nation to bring about his wrath on another nation. Does that excuse the Chaldeans? No. Amazingly, after we are told explicitly that the Chaldeans are being used by God to send his wratch on Israel, the Chaldeans themselves receive the pronouncement of coming judgment as well. The Chaldeans are horribly wicked and will receive their due penalty. But the point is this, just because a nation is used to execute God’s wrath doesn’t mean they are just in doing so. God’s ways are difficult to understand, for he used a nation more ruthless than Israel to execute punishment on his people, but again, that hardly vindicates the Chaldeans. So ultimately, our country’s participation in a “just war,” as some like to call it, does not vindicate us at all. All we can say for sure is that God uses nations to hand out wrath; we can’t say (conclusively) that we are just in doing so. I get why there’s war. The Kingdom isn’t perfectly establish. The former things haven’t passed away. War is a part of the former age that God is destroying. But, aren’t Jesus’ followers supposed to live according to the age to come? The Kingdom order? If so, how can I take up arms and kill? Jesus conquered his enemy by being killed, not by killing. It seems that’s our call as foolish as that sounds to the conventional ways of the world (see 1 Cor. 1-2). To the question about the early church, prior to 200 AD, the church was, for all practical purposes, pacifist. Between 200 and Constantine, the church was still overwhelmingly pacifist. It was only after Constantine that there was movement to the just war tradition. Denny, with all due respect, I would hope that a Christian position would be built on more than the proof text of Romans 13, which has its numerous problems (some of which, others have enumerated). For example, Dale Brown, in his book “Biblical Pacifism” and Vernard Eller in “War and Peace from Genesis to Revelation” attempt to make their cases from the broad biblical narrative. As one who aims to take the whole of Scripture seriously, it has always puzzled me why just war proponents generally argue from extra-biblical rationales. For example, I often challenge my students to do the following experiment. Go to a library at some seminary or university. Find 10 books on JW theory and 10 on Christian Pac. 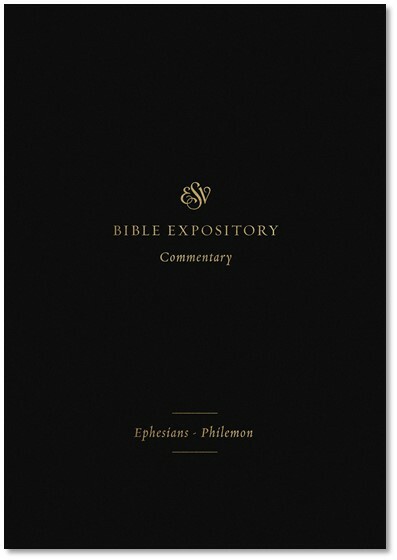 You will find much, much substantive engagement with the biblical materials in CP than in JWT. Thanks for your thoughtful comments. I do disagree with you, however, that Romans 13 is the only text in the Bible supporting a “Just War” position. 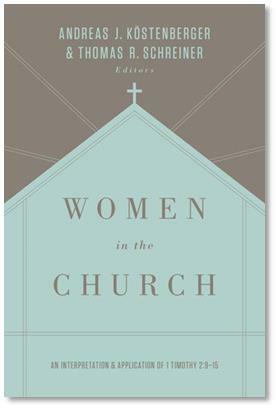 It’s an important text, of course, and it looms large in Augustine’s presentation. But Romans 13 is far from the only text from which Just War proponents derive their position. Then what are the others, Denny? What you have written here is a bit misleading. Hauerwas is not a pacifist because war harms veterans. Hauerwas is a pacifist because the nonviolent, crucified Jesus is the risen Lord.